This article from the Mira Mesa/Scripps Ranch Mirror newspaper was written about Bruce in 1984. Video of Bruce Brown’s Volunteer of the Year Dinner in 1986. Bruce Brown has a long and distinguished record of accomplishment as a volunteer in Mira Mesa. As Chair of Harmonium’s Board, President of the Town Council and Chair of the Mira Mesa Community Planning Group, he led the effort to secure funding and win approval from the San Diego City Council for the San Diego Regional Teen Center and Police Storefront. Currently Bruce is Chairman of an effort by the Mira Mesa Community Foundation to turn the old Epicentre into the Mira Mesa Civic Center for the use of the entire Community. As Chairman of the “Mira Mesa Clean and Green Day” he organized this annual event, got help from the City of San Diego, the “I love a Clean San Diego” organization and several dozen Community volunteers (1982-1997). At each year’s event tons of trash was removed – metal and greens was recycled and many volunteers from the Community would clean up vacant lots and canyons within the Community. Others residents would use this event to get rid of unwanted trash from their own property. Over 80 tons of trash were removed each year from Mira Mesa. As Chairman of the Mira Mesa Community Planning Group and along with City staff and other community members (including Jeff and Pam Stevens) he helped prepare and pass Mira Mesa’s Community Plan (1992). He also serves on the committee that reviews and updates the Facilities Benefit Assessment committee, which establishes funding priorities for Mira Mesa’s Capital Improvement Projects (1985 – present). He served on MMCPG/ MMRC joint sub-committee (along with community volunteers Jeff and Pam Stevens and David Poole of Pardee Construction Co.) that helped identify land for future new parks within the Mira Mesa Community (1986). These parks include Breen, Camino Ruiz, Lopez Ridge, Christa McAuliffe, Carroll School site (Mira Mesa Park expansion), Hourglass Field and Parkdale. He served on a MMTC/MMCPG joint committee that determined the location and helped design the new Mira Mesa Library (1991-1993). He served on the MMCPG committee to help design the Ned Baumer Aquatic Center at Hourglass Park (1992-1997). As Chairman and member of the Recreation Council (along with volunteer Joe Frichtel) he worked with City Staff to identify and secure funding (through the City’s matching gift program and Mira Mesa Community fund) to upgrade and replace old equipment from Tot Lots at Mesa Verde, Mesa Viking, McAuliffe, Sandburg and Mira Mesa Parks. (1997-2002). Equipment that was replaced was unsafe; with some of it having been painted with lead based paint. As Chairman of the Recreation Council (along with volunteer Joe Frichtel) he helped coordinate efforts between the Community, City Councilman Brian Maienschein’s office, City Staff and San Diego Unified School District staff, to move the outdoor lights at Lopez Ridge Neighborhood Park to Wangenheim Park sports fields (2003). While a member of the Recreation Council (many times as Chairman) he help Sheppard the design and construction of several parks in Mira Mesa including: Hourglass Field Community, the expansion of Mira Mesa Community, Breen, Camino Ruiz. Lopez Ruiz, Salk Neigborhood Parks as well as the expansion of Wangenheim joint use field and the design of the Resource Park within the Canyon Hills Open Space. In addition to his work on the Recreation Council he also Coached/Managed hundreds of children (ages 8-14) in youth basketball, baseball and soccer from 1988 to 1995. As President of the Mira Mesa Town Council he helped established the annual Volunteer of the Year Award Banquet (along with volunteers Jeff and Pam Stevens and Dawn Gutierrez -1984). As a member of the Town Council board helped establish the scholarship program for graduating High School students (1985). Along with volunteers Marv Miles and Bob Dingeman of Scripps Ranch and with help of the City Councilwoman Barbara Warden, he worked with the San Diego Police, Community and City Staff and helped raise initial funding and helped lead the efforts to establish an RSVP in the communities of the Mira Mesa and Scripps Ranch. 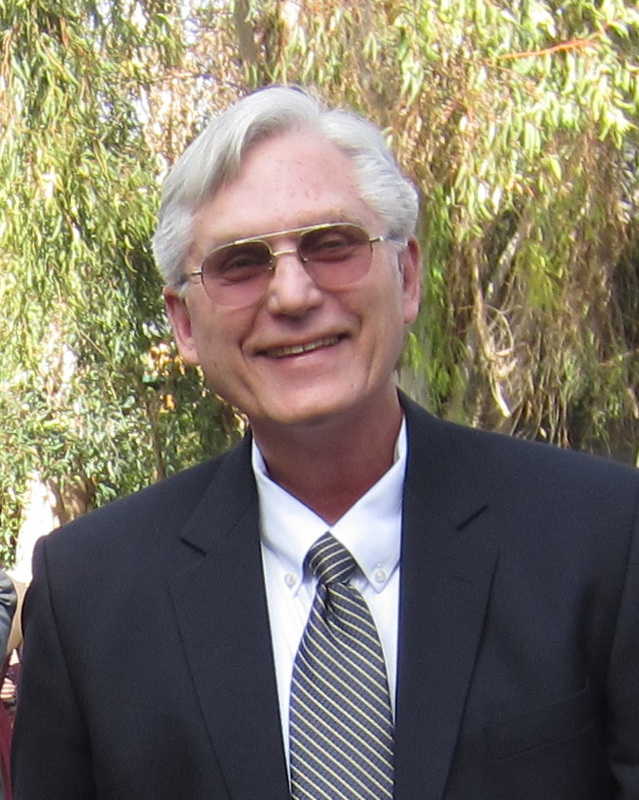 As Chair of Harmonium’s Board of Directors and along with Harmonium’s Executive Director Nancy Sherman, he helped secure funding from local developers, and helped to win approval from the San Diego Unified School District to establish six Klassic Kids daycare centers at local elementary schools (1988 -1997) Ericson, Sandburg, Mason, Hage, Walker and Jerabek. These daycare centers help residents who have school aged children and work. With the daycare centers located on the school sites the children now have a safe and supervised place to go directly after school, until one of the parents picks them up after work. Bruce helped to greatly reduce graffiti in the Mira Mesa Community (along with volunteers Marv Miles and Ted Brengel) by painting over the graffiti with donated paint from local businesses and the MMTC (1991 – 2012 on Sunday mornings). As an anti-graffiti measure he helped organize and led the effort to paint brick sound walls throughout Mira Mesa (2008 – 2010) nearly 15,000 feet. Volunteers Marv Miles, John and Joyce Sunde, Ted Brengel, Joe Frichtel and Mike Davis also worked tirelessly on this project until the task was completed. As Assistant Cub Scout Den Leader he helped several boys complete requirements to achieve the “Arrow of Light” (1992). As Eagle Counselor he helped 17 Boy Scouts with their Eagle projects. All 17 achieved the rank of Eagle Scout (2008 – 2012). Along with his wife Rosemary and son Greg Brown – he helped establish “The Brown Family Scholarship” – scholarships given to graduating seniors at MMHS for outstanding community service, grades and leadership.